One of the most important checks to make, says Phil Spencer, when buying a property, particularly an older property, is the state of the roof. If the roof needs work and shows signs of aging with slipping tiles, it's obviously important to get the roof fixed as a priority job. 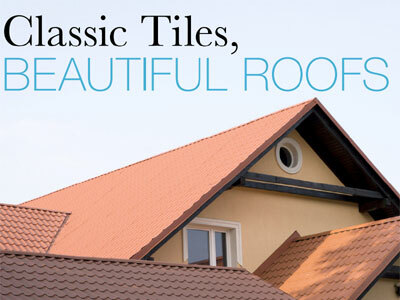 Re-tiling a roof may be an expense you don't want but think of it as a once-in-a-lifetime investment, an investment that also gives you the opportunity to enhance you property and its sale value.